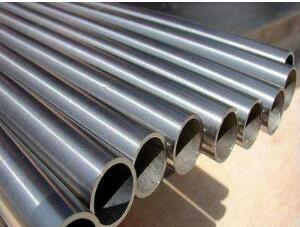 EFW (Electrofusion Welding) steel tube refers to electron beam welding. For directional impact kinetic energy electron beam, high-speed motion is used to transform the workpiece into a hot workpiece to leave the workpiece to melt and form a weld seam. 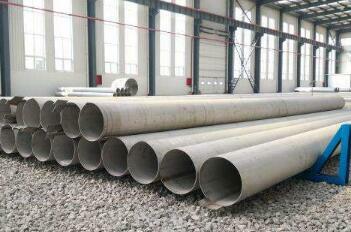 EFW steel pipes are formed with hot rolled plates and welded welds. The welding flash can be removed from the outside or inside using the enmeshed blade surface. The weld zone can also be heat treated to make the weld invisible. Welded pipes generally have tighter dimensional tolerances than seamless pipes, and if manufactured in the same quantity, the cost is lower. It is mainly used for dissimilar steel welding thin plates or welding with high power density. The metal welding parts can be rapidly heated to high temperature and melt any refractory metals and alloys. The deep penetration welding speed and the heat affected zone are very small, so the impact on the joint performance is small, and the joint is hardly deformed. But it has special welding room requirements because of the use of X-ray welding. 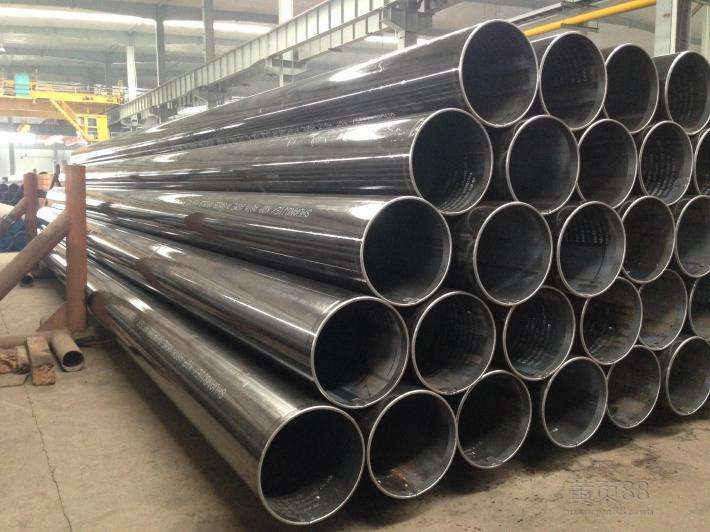 ASTM A520 is a standard specification for the construction of high-temperature boilers for seamless and resistance-welded carbon steel pipe products in compliance with ISO recommended supplementary requirements. 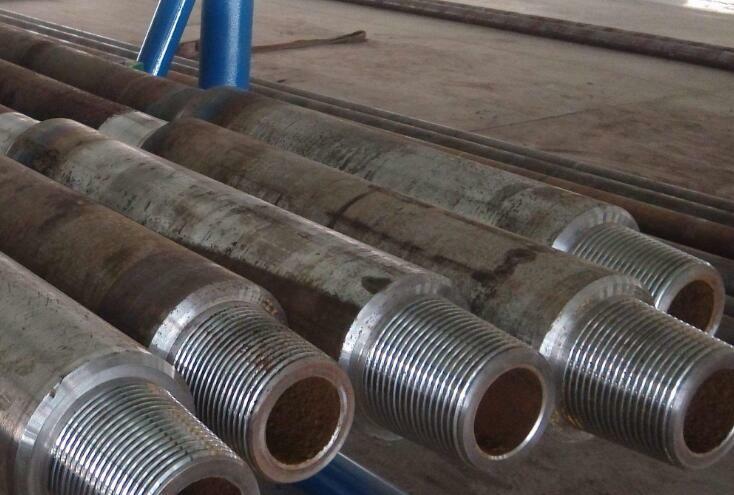 The microstructure of high-frequency straight seam welded pipe welds reflects the welding process performance and welding quality of the steel pipe. 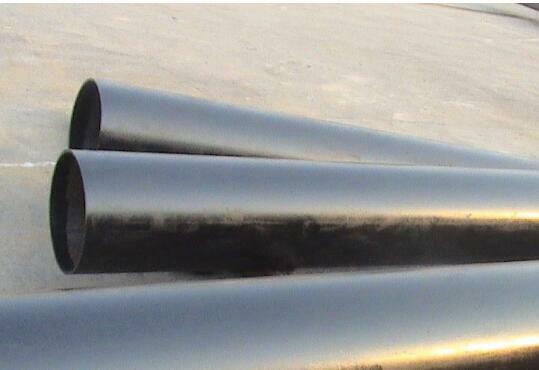 Welding steel pipe slag is the residual slag in the weld. From the theoretical analysis, the main reason for submerged arc welding slag inclusion due to the following three reasons: 1 The raw materials (including the parent metal, wire, and flux) are more tolerable; 2 During the multi-layer welding, cleaning between layers; 3 Improper selection, welding process parameters are not conducive to the production of slag. 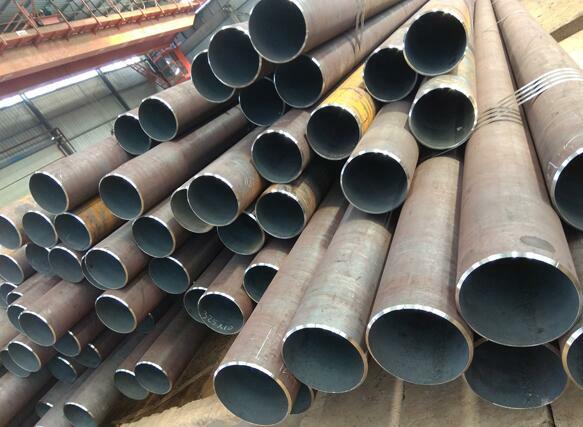 In the straight seam steel pipe production of straight seam steel pipe, manufacturers need to have good control of the pressure. This is why during the welding process, the edge temperatures of the two tube embryos reach the welding temperature, and the pressure can make them infiltrate the common metal particles, resulting in a tightly bound crystallization to achieve the purpose of welding firmly. 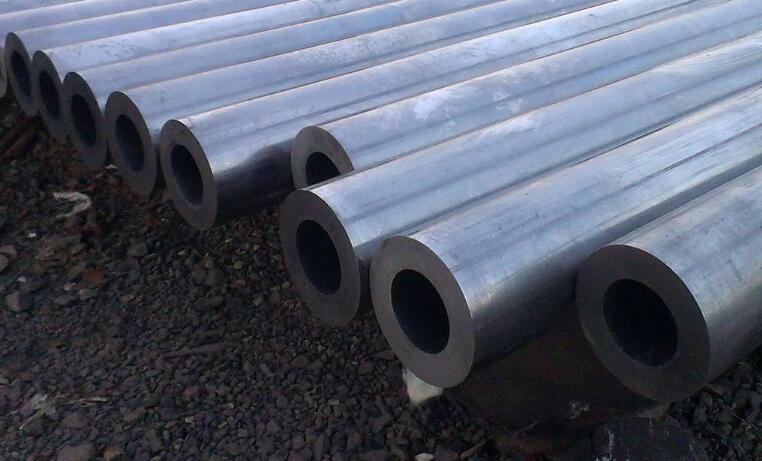 However, if the lack of extrusion during the crystallization process is poor, the strength of the weld seam is very low, and cracks are prone to occur due to external problems during the process. But when the extrusion is too large, the welding temperature of the weld metal will be squeezed out of the weld seam position, R actually welding together can get the temperature and the metal will be very small, so the number of crystals will be reduced, which will also lead to welding Not strong, but there are many glitches, so it is a more serious flaw, so remind consumers to buy straight seam submerged arc welded steel pipe from the regular manufacturers, because they control the extrusion force is perfect. 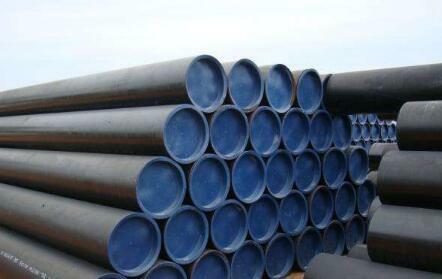 Thick-walled steel pipe, its pipe diameter and wall thickness ratio of less than 20, said the steel pipe is a thick-walled steel pipe. 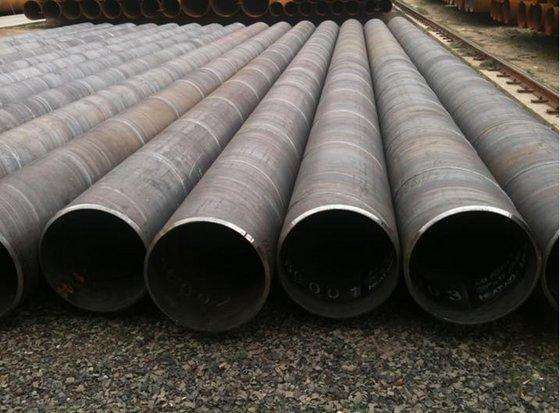 Mainly used in petroleum geological drilling pipe, petrochemical cracking pipe, boiler tube, bearing pipe and high-precision structural control of automobiles, tractors, aviation and so on. 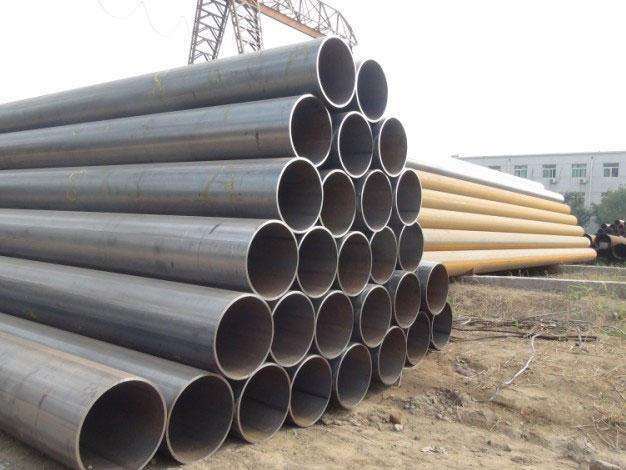 There are many factors affecting large-diameter high-quality double-sided submerged arc welded steel pipes (DSAW steel pipes). The key factors directly related to the formation of the mass diameter are: expansion rate, axial overlap, number of segments and fillets, friction and lubrication between the block and the inner wall of the steel pipe, shape error of the steel pipe, expansion speed and setting of the expander leveler . 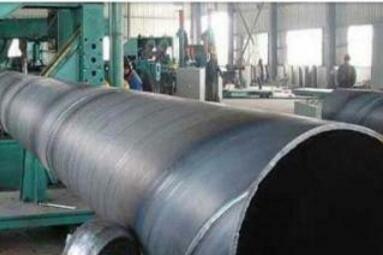 Large-diameter straight seam steel pipe welding, including pre-welding, welding and welding three processes. 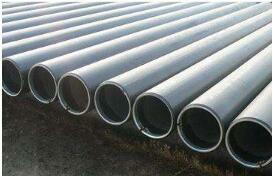 At present, the long-distance transportation of oil and natural gas mainly adopts pipeline. 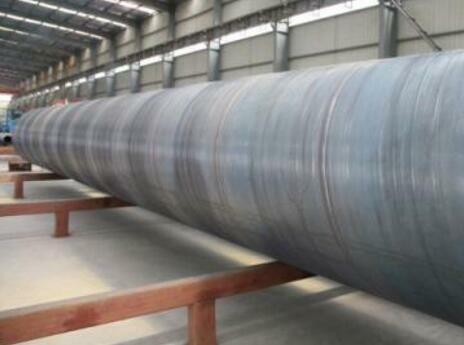 Long-distance pipeline pipeline used in the main spiral pipe submerged arc welded pipe(ssaw steel pipe) and double submerged arc welded straight steel pipe(Lsaw steel pipe). 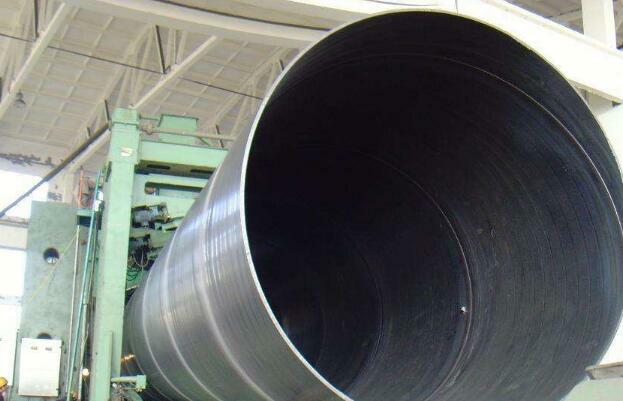 As the spiral submerged arc welded pipe is based on strip as raw material, wall thickness is limited, in addition to the existence of spiral submerged arc welded pipe longer, greater residual stress, weld reliability is poor and difficult to overcome the shortcomings of dense population area and reliability requirements of the region, large diameter straight seam submerged arc welded pipe has been gradually replaced by spiral submerged arc welded pipe. 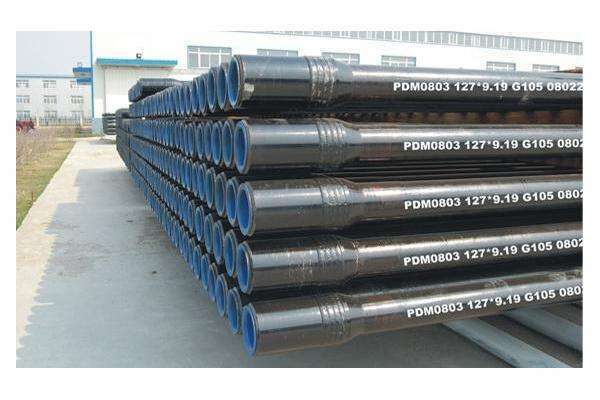 The quality inspection standards and operating procedures for cold-drawn carbon seamless steel tubes are as follows: The characteristics of cold drawn tube production are from input to finished product, which is usually produced through some cold deformation work hardening, through a large number of preparatory processes and deformation process, so that the entire production process, with the characteristics of reciprocating cycle, and thus more processes, production The long cycle, metal consumption, low production efficiency, production scale are generally not large. 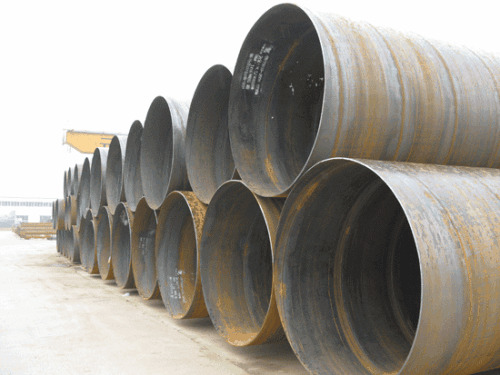 In order to guarantee the quality of the extruded polyethylene coating, the large-diameter steel pipe specified in this standard shall be welded to ≤ 2.5 mm, and the weld shall be smoothly transitioned. 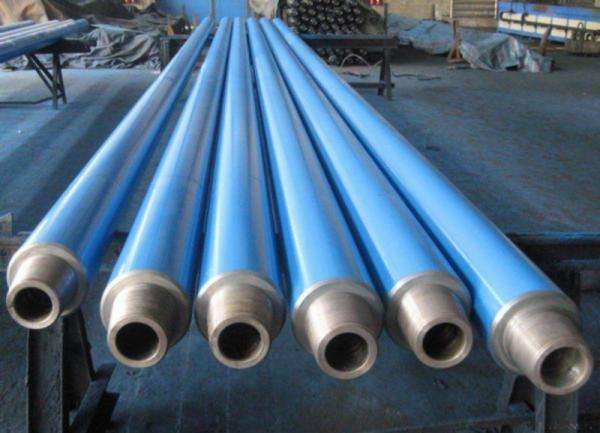 According to different production methods of carbon seamless steel tubes, hot rolled tubes, cold rolled tubes, drawing tubes, and extruded tubes can be classified. President of the Brazil iron and Steel Association, said Marco Polo Mello 22, Brazil still has time to persuade the United States formally exempted for steel and aluminum tariffs to the country's president temer Association called for telephone communication connection with us president Trump. The White House said in a 22 day statement that it will temporarily exempt from tariffs on steel and aluminum for EU, Argentina, Australia, Brazil, Canada, Mexico, Korea and other economies. In addition to economies in the exemption list, the United States announced earlier this month the steel aluminum tariffs on March 23rd onwards. Tenaris offers oil and gas customers a wide range of profiles for high quality drill rods and tools. Our complete quotation includes operations requiring corrosion-resistant and high-strength steel grades. Command Energy provides drill pipe in every weight, grade and size from 2-3/8” to 7-5/8”. 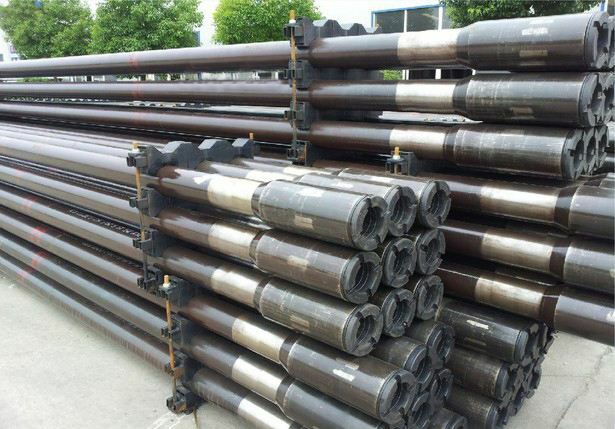 Our drill pipe goes through vigorous quality checks to ensure each piece meets strict quality standards for superior durability and performance. Each piece of drill pipe is machined from a specific alloy that allows for exceptionally tight dimensional tolerances and enhanced performance. 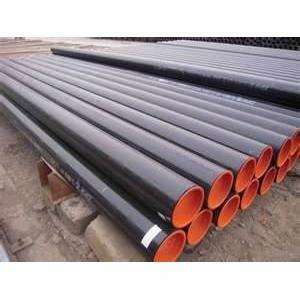 The drill pipe is a tubular pipe made of steel and fitted with a special threaded end called a tool joint. A drill bit mounted drill bit can be operatively coupled with a drill bit surface apparatus or a combination of a drill bit and a bottom hole drill to pump drilling fluid onto the drill bit. Piping also helps to connect rig surface equipment for lifting, rotating, and lowering downhole drill bits and fittings. The rig is a hollow and thick-walled pipe, made of steel, for a variety of uses. 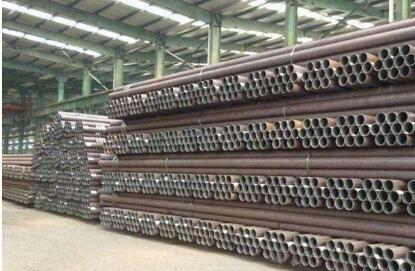 The US standard carbon seamless steel tube is tested for mechanical properties. The mechanical properties of the test method are divided into two categories, one is a tensile test and the other is a hardness test. (1) Carbon steel seamless pipes should be carefully installed and carefully inspected to ensure the quality of pipes and pipes.